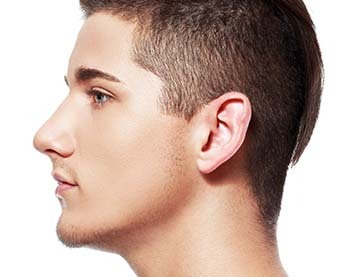 What is Non- Surgical Nose Reshaping? Many people are unhappy with the size or shape of their nose but are worried about the potential complications and risks of surgery. Nu Cosmetic Clinics is one of the only clinics in the UK, to offer non-surgical nose reshaping. Prior to the procedure, local anaesthetic is injected around the area so that you will not feel any pain. Dermal filler is then injected into the skin on the nose to build up and/ or reshape the nose to create its new contours and shape. Results last for approximately 6-12 months, after which you can have the procedure repeated or topped up to maintain the results. After the local anaesthetic has worn off, you may feel a little sore and bruising may appear, however this should subside within a few days. The effects of a non-surgical nose reshaping normally last up to a year. 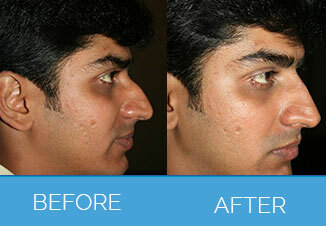 Yes, a surgical nose reshaping procedure can give a permanent result. There are no patient stories for Non-Surgical Nose Reshaping. Any form of cosmetic enhancement is very personal, so prices are bespoke dependent on your individual needs. As a rough guide, you can expect to pay £195 – £495.